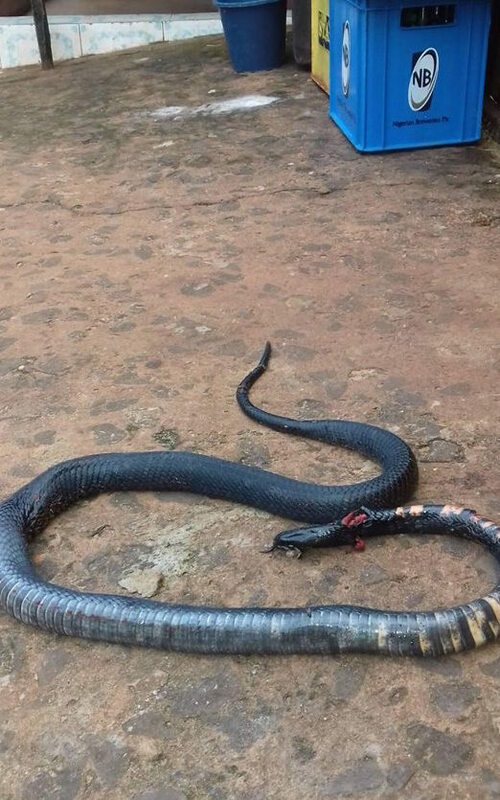 A brave mom has killed a deadly snake found in her daughter's room. 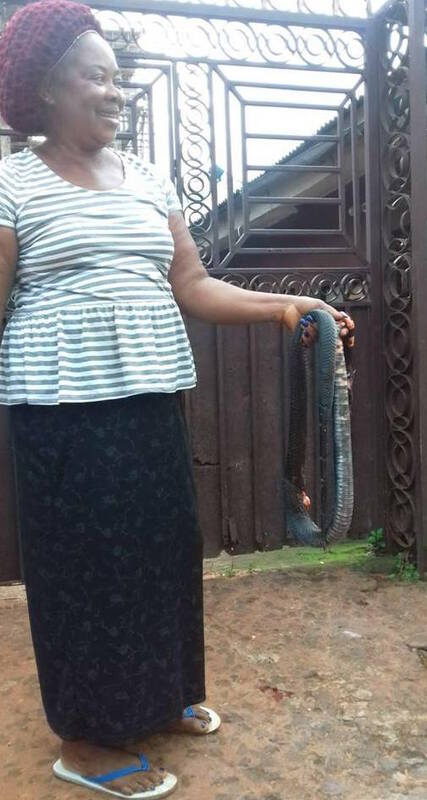 A Facebook user shared photos of her mom flaunting the deadly creature and narrated how she killed it when it crept into her sister's room. According to the user, her sister woke up to sound in her room at about 2am. 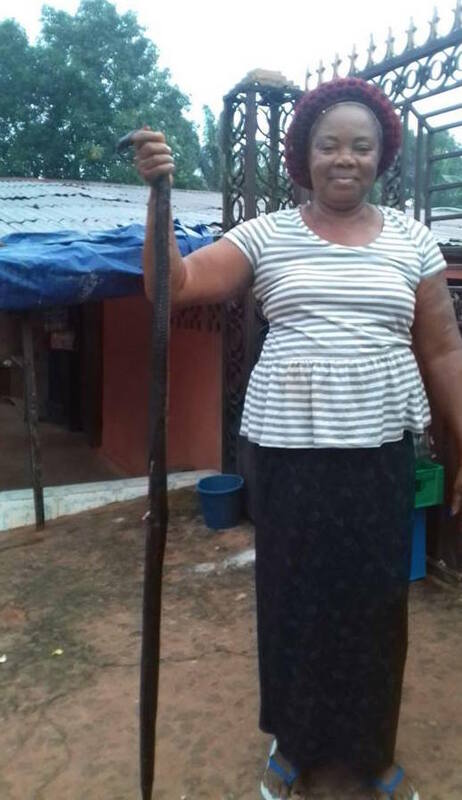 She called for help and her mom bravely stepped in and killed he reptile which will later be used for pepper soup. My beloved friends, Pls join me to tank our God for his wonderful perfect job well done he did for my family earlier this morning , when my sister woke up around 2.am and noticed that something was making some kind of noise in her room. wen she tried to figure out what was the noise and signs all about. 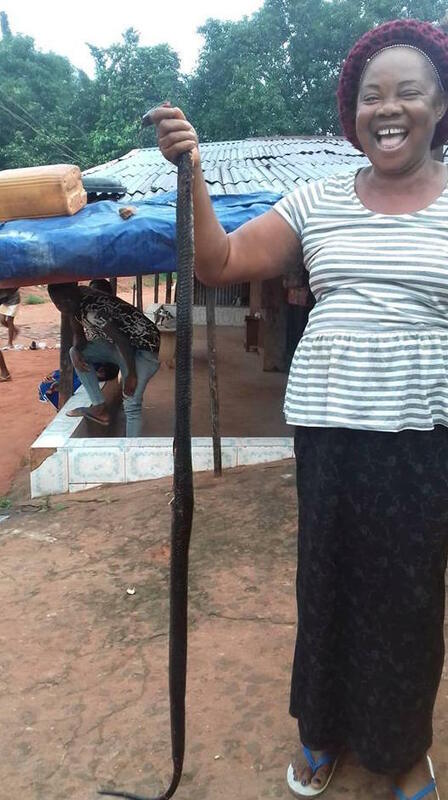 behold it was dis deadly snake. so she raised an alarm, and the snake was killed by our mom.. Tank God for his protection….